Should Your PPC Advertising Include Branded Keywords? What Are Branded PPC Keywords? PPC Branding keywords are keywords that use your organization’s name in a PPC keyword strategy. These keywords are selected so when someone searches for your business name; a paid search ad will appear for your company. Anyone who invests in PPC ads knows they need to take advantage of any opportunity to boost their campaign performance with professional PPC marketing services. Many PPC managers look for the “secret weapon” to improve their PPC ads. While there is no single “secret,” you can use branded keywords to help decrease CPC and increase CTR for your PPC ads. PPC branded keywords play a dominant role in “Purchase Phrase” of the Customer Journey. This is because if your SEO and other digital marketing strategies are working properly, your customers need to have ample information about your product and services. Once they are ready to buy, you want to make sure that your company is front and center for them to purchase. If you struggle to find the best terms to use then you can use free online marketing tools for small business to find the best terms based on the needs of your customers. Branded keywords allow your PPC ads and business messaging to rise to the top of search results and attract qualified clicks to your website. While you will have to pay for each click, using branded keywords help you ensure that your web traffic is pre-qualified and interested in your brand. Why Choose Branded PPC Keywords? I have managed PPC accounts in various industries, ranging from drug rehab centers and churches to apartment and hotels. While each industry has their unique needs and considerations, each industry I have worked in have benefited from branded keywords. While there is no single, foolproof recommendation, the one thing that I have seen is that branded keywords help PPC campaigns no matter the industry or product. This is because branded keywords position your business at the top of search results. I know that whenever PPC ads with branded keywords appear in search results, that the searcher is far along in the Customer Journey. This means that using branded keywords will yield a high CTR, low CPC, and lower-than-normal CPA across the board. Depending on where your audience is in their Customer Journey, branded keywords help your business remain in front of your competitors. 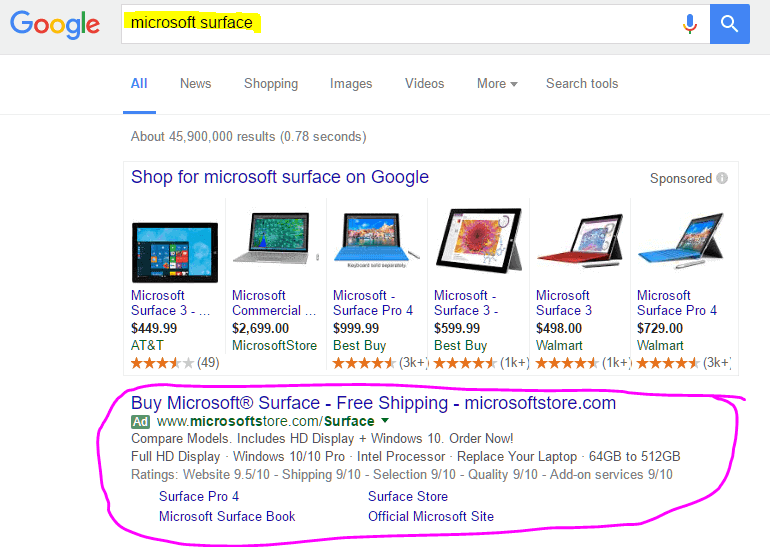 Since you are paying for your ads to display and Google loves money, your ads will appear above organic ads. A recent article by Search Engine Watch revealed that almost 50% of searchers don’t know when they are clicking on PPC ads. Your business can use this both the natural preference Google gives to PPC ads and the fact that most searchers don’t know they are clicking on PPC ads to your advantage. Bidding a nominal fee on your business name by buying keywords means that your company can retain a dominant spot in search rankings. This position in the Customer Journey can translate in both improved traffic and qualified leads. I have seen businesses generate significant returns by integrating a branded keyword strategy into their PPC advertising strategy. Many business owners rely heavily on Organic Search to drive their website traffic and online sales. While Organic SEO is an essential component to an integrated online, PPC plays a central role in the ongoing strength of your online presence. In some cases, your competitors could be bidding on your company’s name already. While this strategy is expensive, if you are not bidding on your branded keywords then you are essentially allowing them to steal your customers without contention. Since your audience already trusts you and is searching for your company’s products or services, you need to provide some visibility so they will be guided to your website. If you don’t do this, then you will be losing traffic and helping your customers steal your sales if you are not bidding on branded keywords through PPC advertisements. Not only does PPC advertising help your business retain a dominant position in search results, but it also helps allows you to use precise messaging to drive your Value Proposition and have complete control over your company’s message. 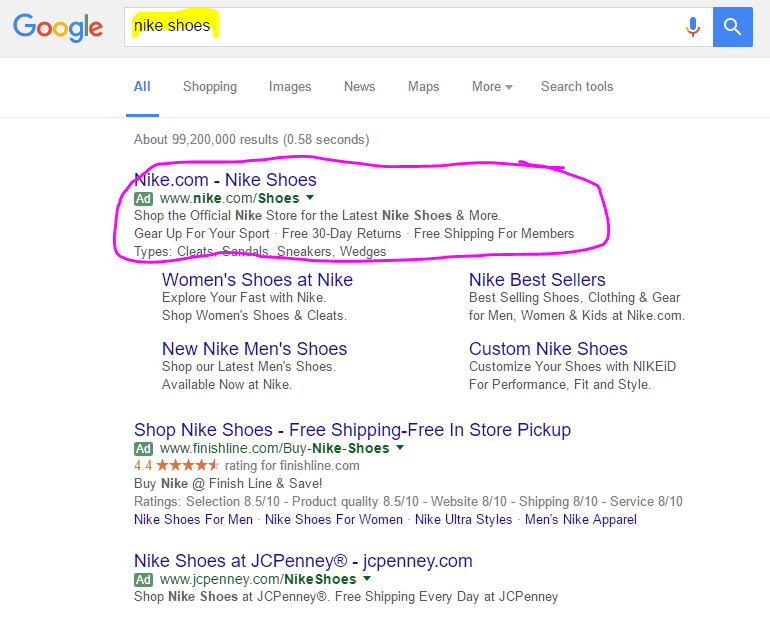 One of the things I love about PPC is that paid search gives me full control over the mechanisms of commerce. By focusing on branded keywords, I can help my clients drive qualified traffic through relevant keywords and PPC ads based on where their customers are in the Buyer’s Journey. PPC ads are essential to transition people from the “Research Phase” to the “Buying Phase,” considering their intention. While I am experienced in many other channels, I have found that brand keywords PPC ads provide the most direct route to obtaining top ranking and qualified leads for their business. Targeting and paying for branded keywords might seem counter-intuitive, but in reality branded keywords offer the biggest benefit for your brand dollar for dollar. 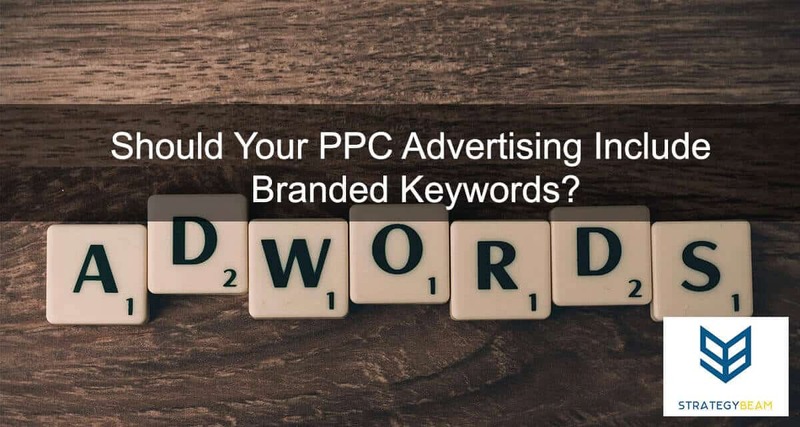 Your budget will dictate how much you can allocate to branded or non-branded keywords, but from my experience, I can tell you that nearly every metric in your PPC campaigns will benefit from buying branded PPC keywords. Set modest budgets for your branded keyword campaigns, and watch as your ROAS increases. As you build out the campaigns, be sure to focus on the needs of your audience towards the “Purchase Phase” of the Customer Journey. Unlike non-branded keywords, you will find that branded keywords will drive qualified customers to your website much faster than Organic SEO alone. If you are looking to increase sales and build your PPC campaigns, then branded keywords are the solution to your paid search campaigns! You will dominate the top spots in search results and defend your brand from your competition while also controlling your messaging. Contact us today if you are interested in having a professional PPC marketing manager set up or optimize your business PPC campaigns. Our team will work with you to create a profitable PPC strategy for your budget!